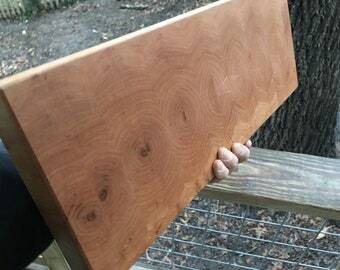 Announcement GRW is a small woodworking studio in Asheville, NC. 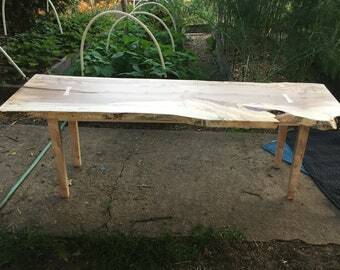 We salvage interesting trees, finish large slabs, build bespoke furniture and strangely beautiful end grain butcher block islands, among other things. We are also the proud makers of Bee Good Wood Oil and Bee Good Wood Butter (wholesale orders available), a superior food safe oil & wax finish. Items in the "Ready to Ship Now" section are limited and ephemeral; for everything else, current turnaround applies. Current turnaround is 3-4 weeks on all smaller items unless otherwise stated or arranged. We are typically booked 3-4 months out, at a minimum, for larger custom items. 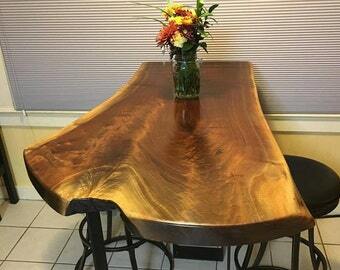 Our furniture is in many local residences and businesses, including Foundation Woodworks Gallery. We deliver regionally and ship all over the country. 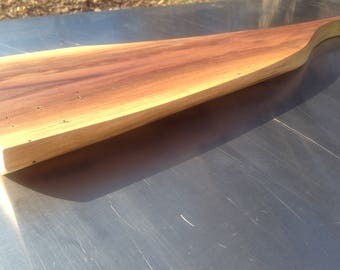 Locally here in Asheville, our unique end grain blocks, pizza peels, Bee Good Wood Oil and Butter may be found at Foundation, Villagers, Asheville Hardware, Klingspor, Bee Charmer, and more. 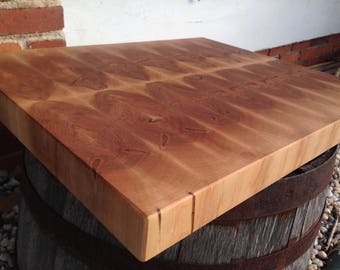 We build wood tops for local bars and restaurants, have butcher blocks in Etsy's own office kitchen, and island tops in the homes of Hollywood icons, politicians and thousands of hard-chopping, appreciative folks world-wide. Please don't hesitate to ask about my sliding scale based on need, visit shop "policies" for much more information and stay in touch (yes, we're on facebook, twitter, instagram). Normal standard turnaround for medium-size items is 2-3 weeks unless otherwise arranged or noted. When it comes to experiencing the warmth and elegance of functional woodwork, we all deserve better than the mass-produced and environmentally unsustainable. Take for instance the ubiquitous, knife-destroying so-called "green" bamboo (grass) cutting board, pressed full of untested chemical compounds and shipped halfway around the world to your local health-food supermarket, or the generic overpriced and poorly-made sweat shop IKEA widget. Whether you desire an entire kitchen counter, island top, a custom-built chef quality butcher block, table top or floating mantel, set of specialty shelves or something entirely original in nearly any kind of wood, every piece I design & build is personally tailored, quality construction from start to finish with an equal eye to functionality and aesthetics. In this day and age, the vast majority of us find it increasingly hard to actually get what we pay for. That is, to do a little research and invest more wisely, when the only options are between three versions of a piece of crap that breaks and something priced only for millionaires or fetishists. The great bulk of my material is reclaimed locally, or salvaged from local custom cabinet and furniture woodworking shops, including my own, and the rest is from sustainable and highly conscientious milling operations. Nearly every piece of wood that comes into my shop ends up being transformed and leaving in more enlightened form to serve someone with pride, somewhere. 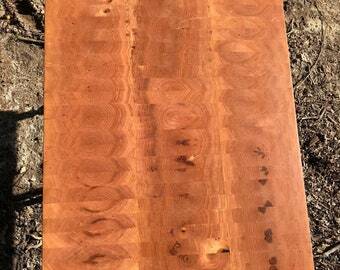 While I work hard to keep my pieces affordable, end grain construction is quite more demanding and labor-intensive than your average face grain cutting board or serving platter. 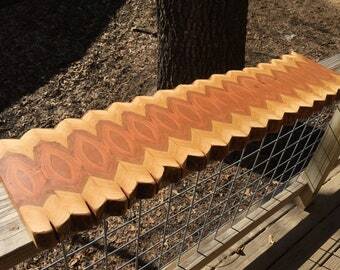 End grain does constitute a significant investment. The investment is worthy because of the unparalleled performance and endurance of the result (and accompanying beauty), and so despite the extra work and wear on my tools, I have very consciously decided to focus on making end grain boards that are genuine heirlooms, worthy tools and companions, uniquely beautiful but also built to perform. Please don't hesitate to ask me about my sliding scale based on need. Discounts are regularly offered to teachers, public intellectuals and anyone who works hard for relatively small reward in positive service to others. But you have to speak up, first. 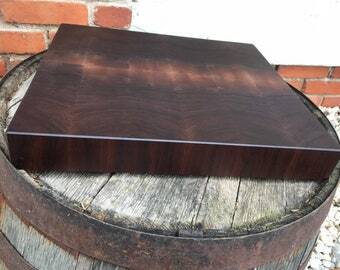 A large food preparing and chopping surface is truly one of the most rewarding and increasingly pleasurable investments for any kitchen: relatively non-scarring and self-healing, they are able to hold their beauty up to decades if not generations of hard work while keeping your good cutlery as sharp as possible. Life meets art in a tool for which our appreciation only deepens. Something we can depend on every day and also enjoy using and caring for. Just ask any of my thousands of grateful customers around the country and the world. Raised in the post & beam Vermont home designed by my father, I unwittingly followed my great-great-grandfather's path and moved to the cradle of forestry around the turn of the century, and have been building new homes and remodeling, doing finish carpentry and custom cabinetry for over 18 years now; still learning all the time, with a singular focus since 2008 on my own business. 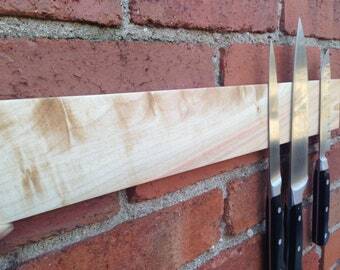 GRW is a small woodworking studio in Asheville, NC. 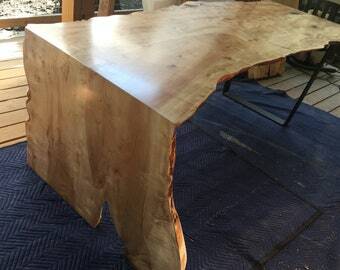 We salvage interesting trees, finish large slabs, build bespoke furniture and strangely beautiful end grain butcher block islands, among other things. We are also the proud makers of Bee Good Wood Oil and Bee Good Wood Butter (wholesale orders available), a superior food safe oil & wax finish. Magical stuff! I love it, keep making it and I’ll keep buying and recommending it! 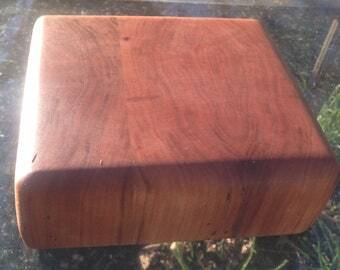 I was thrilled that they were willing to make a custom-sized wooden block for me - great service. And I'm very happy to the final result. 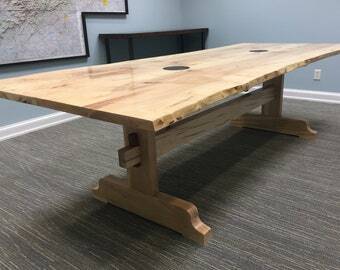 Walnut dining table (locally salvaged wood, book-matched) with custom steel base and salvaged chestnut timber trestle. Finished with Rubio Monocoat. 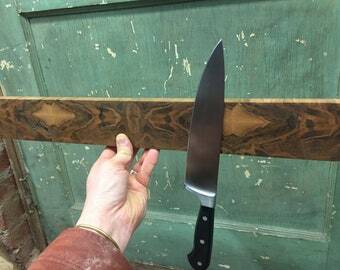 Book-matched figured spalted beech, locally salvaged. Works less well if you actually speak French. 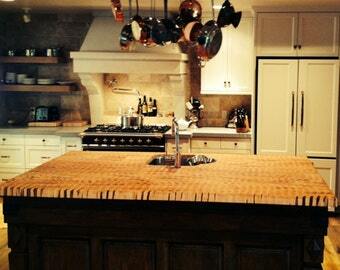 Cherry end grain, flowing book-match island top, built for two very special clients in Los Angeles. 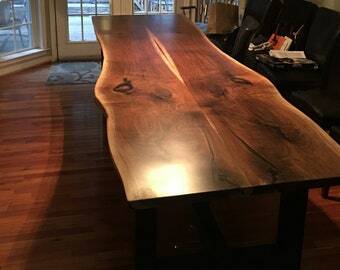 Dining table with base. Book-match figured maple, salvaged, milled, dried locally. 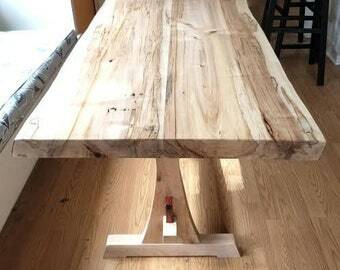 Thru-wedge tenon walnut legs. 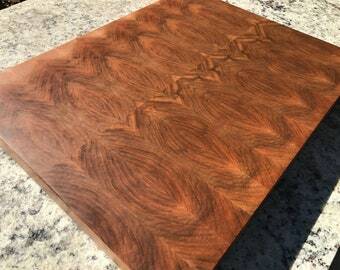 Cherry and Jatoba end grain. Customer in Michigan allowed me to design and build. 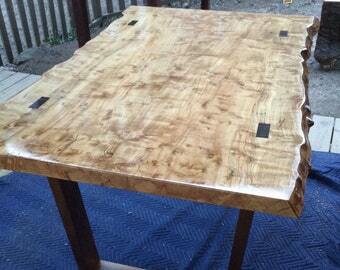 Large black walnut slab community table, with dovetail keys and dark epoxy. Resides locally. 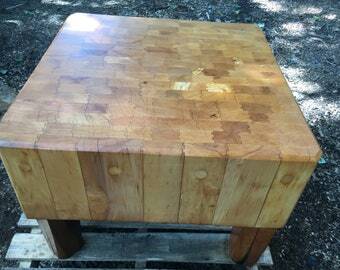 My first butcher block island, 60" x 36" x 2" thick, spalted maple, circa 2008. Growing up in Vermont, summer jobs meant framing houses. I did take a few "breaks" to travel, work on fishing boats in Alaska, go to college, and eventually worked my way up into extensive finish carpentry and custom cabinetry. Mostly self-taught, with the exception of a few generous and talented teachers, custom commission work has kept me consistently busy since founding GreenRiverWoods in 2008. Salvaging our own wood where possible, we emphasize sustainability, beauty and function, using traditional and modern methods to make one-of-a-kind items ranging from cutting boards and jewelry boxes to slab furniture and butcher block islands. 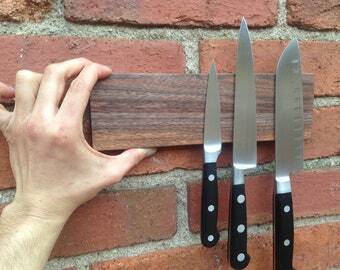 Virtually all the wood that comes into our shop is re-purposed in one form or another. 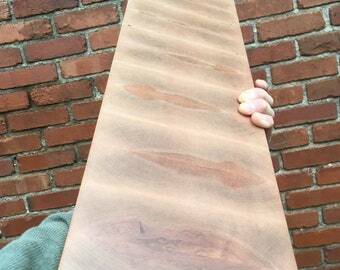 My particular obsession, evidently, lies in exploring the limits and possibilities of end grain construction. No surface is more difficult to work, more beautiful, or more durable. Lately we've been growing an impressive unique slab inventory (for sale, rough or finished). To fulfil your order, you must provide us with certain information (which you authorized Etsy to provide to us), such as your name, email address, postal address, payment information, and the details of the product that you’re ordering. You may also choose to provide me with additional personal information (for a custom order, for example), if you contact us directly. Service providers. We engage certain trusted third parties to perform functions and provide services to my shop, such as delivery companies. I will share your personal information with these third parties, but only to the extent necessary to perform these services. Object. You can object to (i) my processing of some of your information based on my legitimate interests and (ii) receiving marketing messages from me after providing your express consent to receive them. In such cases, we will delete your personal information unless we have compelling and legitimate grounds to continue using that information or if it is needed for legal reasons. • If absolutely necessary, a stronger cleaning agent can be used to get rid of unwanted residues, odors, bacteria or stains, such as pure white vinegar, lemon, salt, or something stronger (see link above). • Get in the habit of quickly re-oiling both sides and all edges thoroughly and evenly after every washing and drying. This is part of the pleasure of owning an heirloom block! 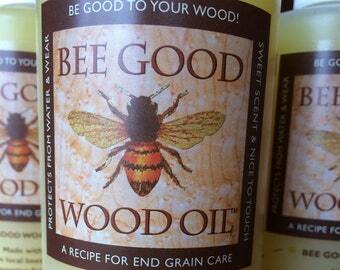 We wholesale two sizes of our Bee Good Wood Oil (16oz; 8oz) and four sizes of the Bee Good Wood Butter (8oz; 4oz; 2oz; 1oz). Please contact directly for wholesale pricing. 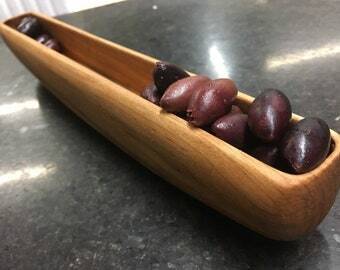 Bee Good to your wood!